The Ships Mod is created by the developer: “cuchaz”. The mod adds in new boats and ships into vanilla Minecraft and I have to say that it is one of the best ship mods available right now. The ships have many characteristics and traits, including the ability to displace the water in the sea rather than just seeing it coming in through the bottom of the boat. 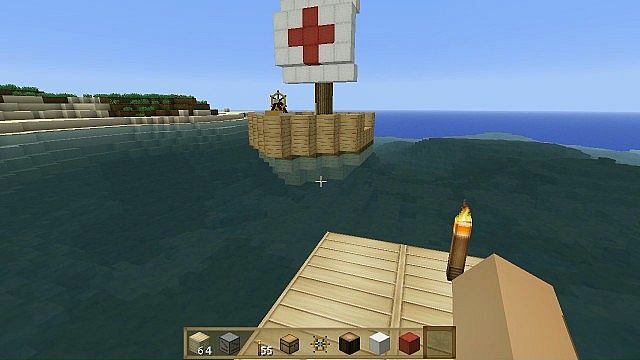 There is no real way to use the Ships Mod you first of all need to download it with Minecraft Forge and then you can load up your latest save game. When loading all of the mods features should be automatically enabled. There are currently no video showcases highlighting the features of the Ships Mod. Make a ship out of blocks. Launch it into the world for sailing. Dock the ship again to make changes to the blocks. Flotation based on physical simulations. Walk around on your ship. Place chests and crafting tables on your ships. 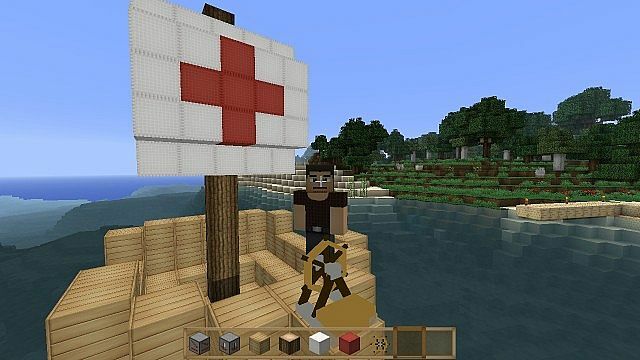 Tiny raft-type ship makes getting started on survival mode easier. The mod is available for the latest patch of Minecraft 1.8 and works with servers and clients. First of all, you need to download and install the latest version of Minecraft Forge to correctly run this mod! Click here to download Minecraft Forge. Next, download the Ships Mod and drag and drop the .zip files to your desktop. Then, open the following location: %appdata%/.minecraft/resourcepacks and put your downloaded files into here. Finally, load up Minecraft and enjoy your new mod! There are currently no public changelogs for this modification as when the developer released the mod, he released all of the features at the same time. However there are planned features and they should be going ahead soon.